Trending at C $33.84eBay determines this price through a machine-learned model of the product's sale prices within the last 90 days. 🔴 ALL FRAGRANCES ARE GENUINE AND EXACTLY AS THEY WERE MANUFACTURED! YOU DID NOT REALIZE THAT YOU ORDERED A SAMPLE. In order to comply with federal transportation regulations pertaining to flammable liquids, fragrance containers are ALWAYS filled to less than 100% capacity by the manufacturer to allow for expansion. TYPE : EAU DE PARFUM SPRAY. Black Opium is the highly addictive feminine fragrance from Yves Saint Laurent. 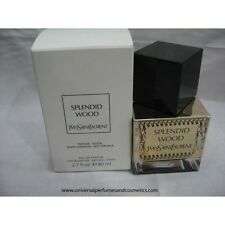 Fascinating and seductively intoxicating, the opening notes of adrenaline-rich coffee and the sweet sensuality of vanilla recline into the softness of white flowers for a modern, young, and vibrant interpretation of addiction. JUST A NOTE : We are very easy to get along with. We will do our best to solve them. opened health & beauty products. SIZE: 3.0 FL. OZ ( 90 ML ). 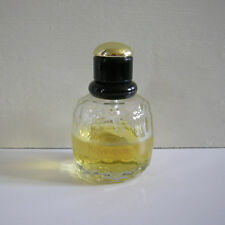 FRAGRANCE TYPE: EAU DE PARFUM SPRAY. By Yes Saint Laurent. Eau De Parfum Spray. 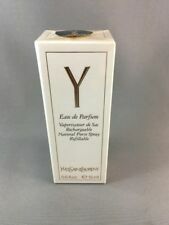 Yves Saint Laurent Natural Spray direct from France.